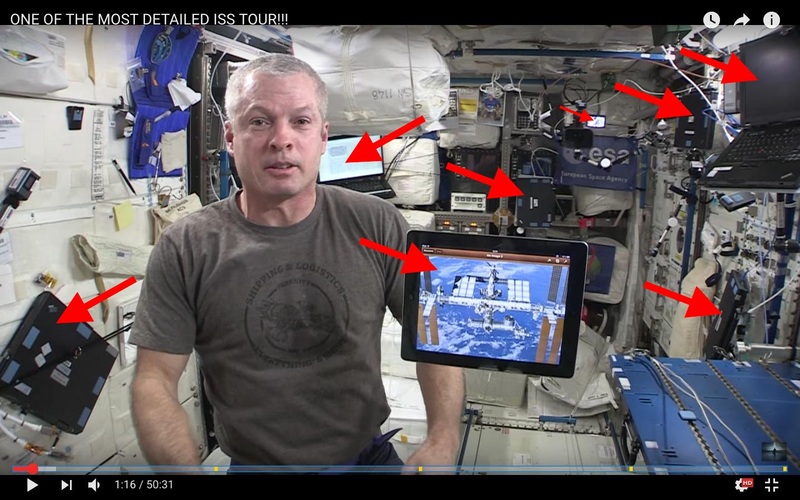 There are many laptops on the ISS, for controlling non-critical things and for personal use during free time. Even at least one iPad. Are these the largest screens available? If the crew wants to watch something together or there's a live event, do they have anything bigger than a laptop to watch? As for largest screen size, perhaps the sky's the limit? Not the answer you're looking for? Browse other questions tagged iss astronaut-lifestyle computer or ask your own question. If an ISS emergency requires pressure suits temporarily, can they still use the laptops? Move the cursor? 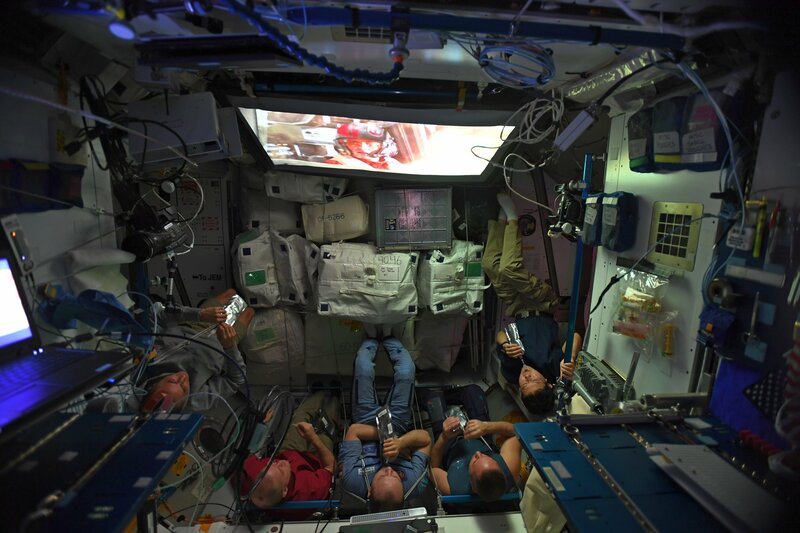 What would happened if the ISS was depressurized while astronauts were sheltering? How do cosmonauts on the ISS use the washroom and excrete there? What kind of time regime/schedule do ISS astronauts have? When reading “the writing on the wall” in the ISS, which way is up?